Update: In this update to the NetX IP Command Center software we have added some improved functionality to the copy feature. There is now a location designator for each thermostat in the copy thermostat selection menu. We have also added a copy entry to the context menu when right clicking on the thermostat name in the thermostat tree. This update also fixes a bug naming convention. You must be running Windows 7 or higher to use this version of the NetX IP Command Center software. 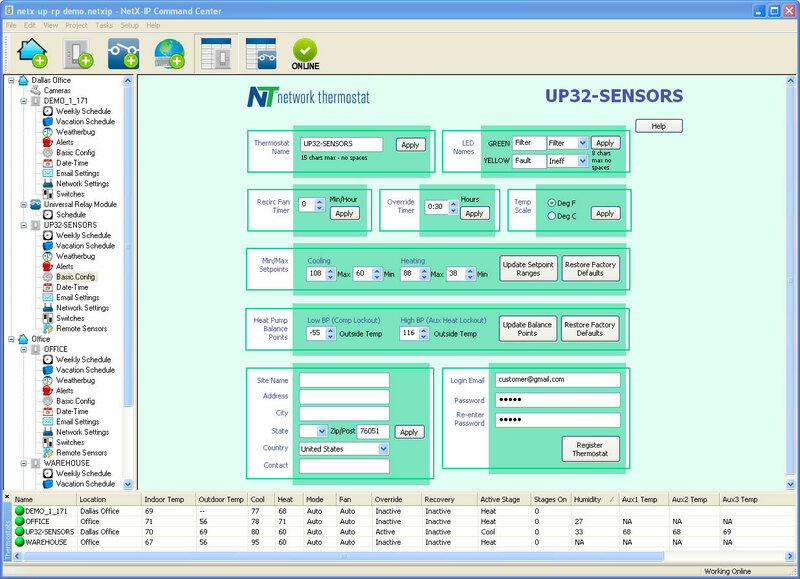 This version of the software is used for all Net/X™ Wi-Fi and Ethernet (IP) models of thermostats. See all thermostats from a single screen, allowing complete control across one or multiple projects. 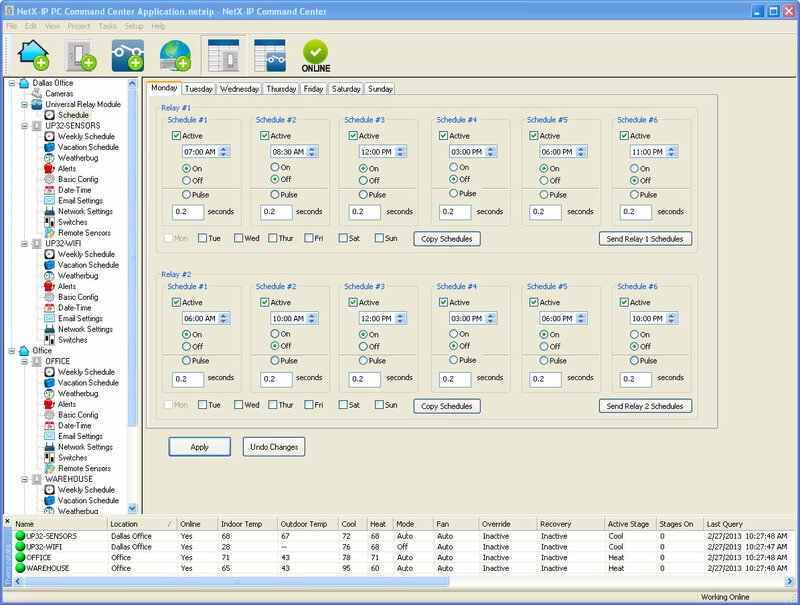 The software also allows drag-n-drop copying of schedules, configurations, global settings, vacations and much more. This release includes the addition of the ability to import all thermostats registered from the Remote Device Login service. 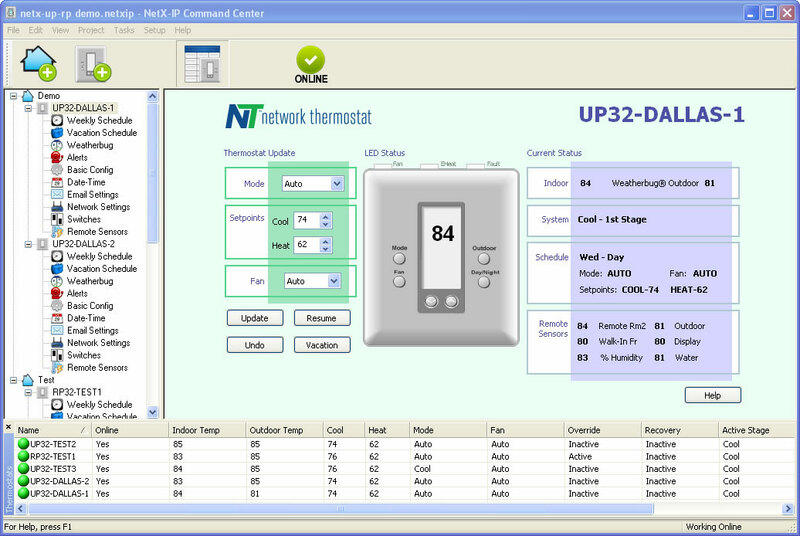 This allows your project to be easily updated every time you add more Net/X™ Network Thermostats. The Net/X-IP Command Center software is at the heart of our simplicity for set up and operation of all Net/X Wi-Fi and Ethernet communicating thermostats for users on Windows-based personal computers or servers. Whether you're using the software locally (within your location) or as an IP thermostat over the Internet, simple point and click capabilities allow you all the ease of use and flexibility you desire to manage your HVAC from anywhere in the world. Monitor thermostats, make changes 'on the fly' for temporary settings, create and copy weekly schedules and vacation schedules, set alerts, and log data. This simple power allows you the ability to control your energy consumption and remain comfortable at the same time.